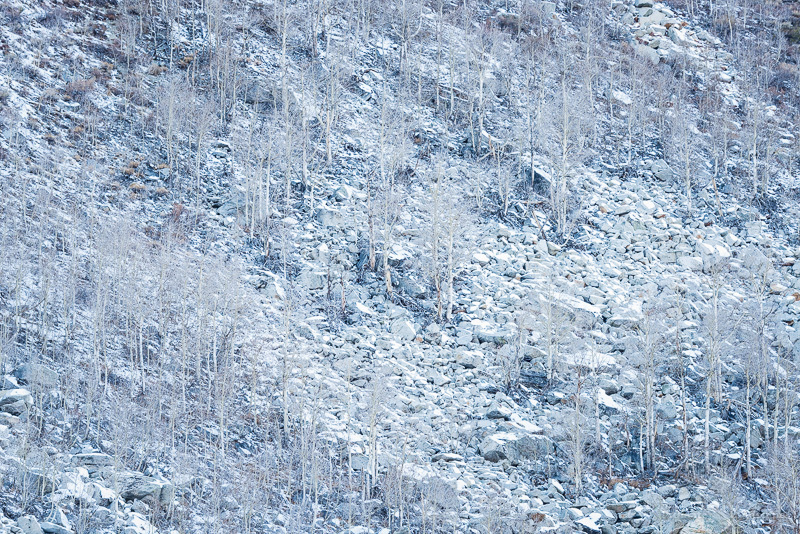 A stark, cold scene in the Eastern Sierras, leafless Aspen trees stand among snow-capped rocks on a mountain side somewhere above Bishop, California. This was a distant scene spotted through a long telephoto lens as I was scanning the area for compositions. Nikon D800, Nikkor 80-400 lens. 1/5 second @ f/11, ISO 100. This entry was posted in Landscape Photography and tagged aspen trees, california, Eastern Sierras, gray, Rocks, snow, winter.